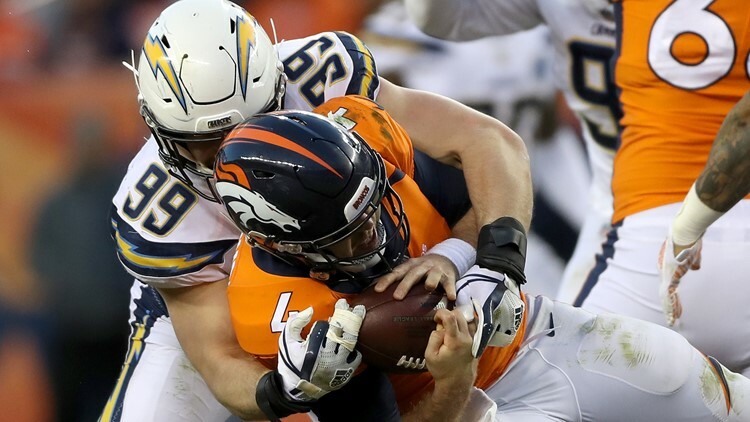 DENVER, COLORADO - DECEMBER 30: Joey Bosa #99 of the Los Angeles Chargers sacks Case Keenum #4 of the Denver Broncos at Broncos Stadium at Mile High on December 30, 2018 in Denver, Colorado. WKYC's Ben Axelrod makes his pick against the spread for the 2019 NFL Wild Card Weekend. You know what they say: It's not about how you start, it's about how you finish. Fortunately for my picks this year, I was able to do both relatively well. Despite entering Week 17 riding a four-week losing streak, I still laid claim -- albeit barely -- to an above .500 record. My total for the regular season was only bolstered by me getting back to my winning ways, which I did with a 9-5 showing in Week 17. The Colts have been the trendy pick all week, but I think many are undervaluing the Texans. Deshaun Watson had an MVP-caliber season and while the Colts were impressive in their own right, I think they also benefitted from beating up on a bad schedule. I don't feel great about either side, but in what essentially amounts to a pick 'em, I'll take the team with home field. Ultimately, it's hard for me to get past Houston's star power and the fact that the Texans were playing for a bye a week ago, while the Colts were still fighting to just make the playoffs. 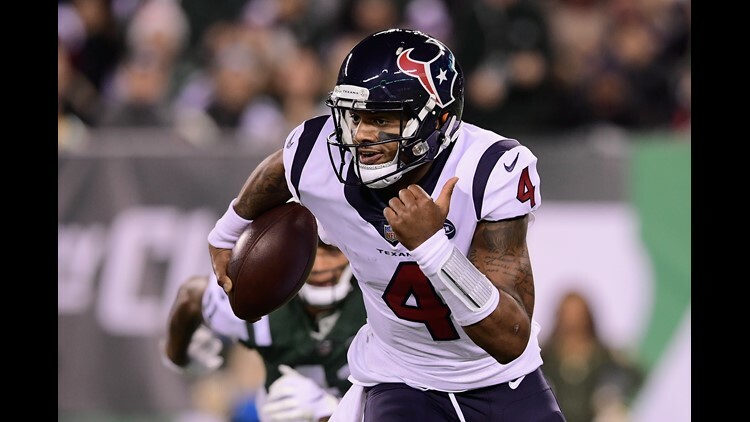 EAST RUTHERFORD, NJ - DECEMBER 15: Quarterback Deshaun Watson #4 of the Houston Texans runs the ball against the New York Jets during the third quarter at MetLife Stadium on December 15, 2018 in East Rutherford, New Jersey. The Cowboys have both homefield and the star power, which were two of the reasons I picked the Texans. The thing I can't get past in this game, however, is Russell Wilson's ability to keep seemingly every game he plays in close, which means I'm ruling out a Dallas blowout. And if the Cowboys aren't going to run away with this one, I'll take the team with the better quarterback, who also happens to have significantly more playoff experience. Two points may not be many, but I also don't mind having them on my side in what I think will be the closest game of the weekend. I'm not even sure the right team is favored in this game. While the Ravens defense has been great and the Chargers are coming from the west coast for a 1 p.m. ET kick, I can't get past the advantage at quarterback Los Angeles possesses. While Lamar Jackson has done enough to win, his passing has been far from impressive, while Phillip Rivers has put together a season worthy of MVP consideration. I don't just like the Chargers to cover, I like them to win outright. 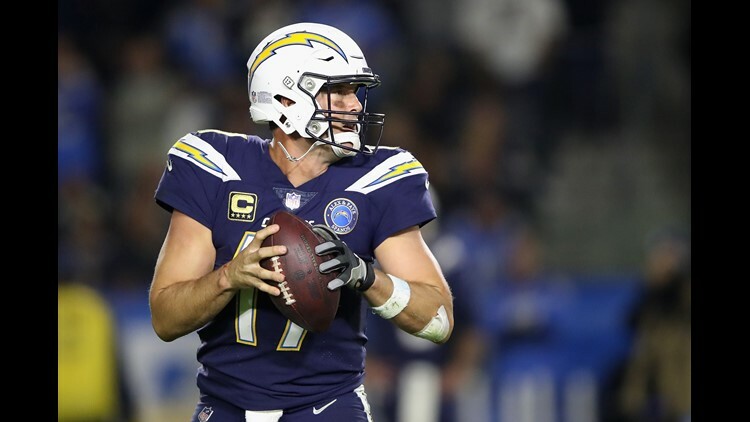 While we've seen other quarterbacks use smoke and mirrors to advance in the playoffs before -- hello, Tim Tebow -- I just can't imagine Jackson getting past this Chargers team. CARSON, CA - DECEMBER 22: Philip Rivers #17 of the Los Angeles Chargers passes the ball under pressure in the pocket during the second half of a game against the Baltimore Ravens at StubHub Center on December 22, 2018 in Carson, California. As impressive as the Bears have been this season, they don't seem to have the blowout gene. In fact, they went six straight games without winning a game by more than a touchdown before beating the Minnesota Vikings by 14 in Week 17. Meanwhile, just like last year, the Eagles seem to be finding their groove just at the right time. I'm not sure I can see Nick Foles beating this Bears defense outright, but with 6.5 points to play with and Chicago leaning on a run-heavy offense, I'll take Philadelphia to at the very least cover.